Dentures are an option to replace missing teeth in your mouth. They typically require a few appointments to obtain the necessary information required for their construction. Dentures can be made of different materials, and your dentist will discuss with you as to which will be best in your situation. Your dentist will guide you in inserting and removing your denture. Be sure you can confidently do this before you leave the surgery. Never use excessive force to remove a denture. Try not to bite using the front teeth as this can cause the denture to tip. Your mouth requires time to adapt to the denture! However, it is also extremely important to communicate with your dentist if you encounter any persisting problems, such as if the denture is loose or causing you pain so that they can make the necessary adjustments for your comfort. Dentures should be cleaned as though they were teeth – after every meal, or at least twice a day. Brush all surfaces with a soft toothbrush and mild, non-perfumed soap or any approved denture cleaner. These can be found easily in pharmacies and supermarkets. Avoid cleaning dentures with regular toothpaste, as these are too abrasive and can reduce the longevity of your denture. Clean your dentures over a towel or a basin of water, as they are delicate and can break easily if dropped. If you break any part of a denture, do not wear it again and do not glue the pieces together. Instead, bring them to your dentist. It is important to take care of your remaining teeth, especially with a denture, as they can often result in more food trapping and build up. The gums where the dentures sit on should also be cleaned using a soft facial cloth or towel. Simply rub over it gently. If you have any concerns, ask your dentist to assist you. Dentures should be removed every night before bed as it gives your mouth a chance to rest. After cleaning your dentures thoroughly, place them either by your bedside, in water or a special cleaning solution. Regular dental check ups are essential for all denture wearers. Your dentist will check to make sure the denture fits well and examine your remaining teeth. 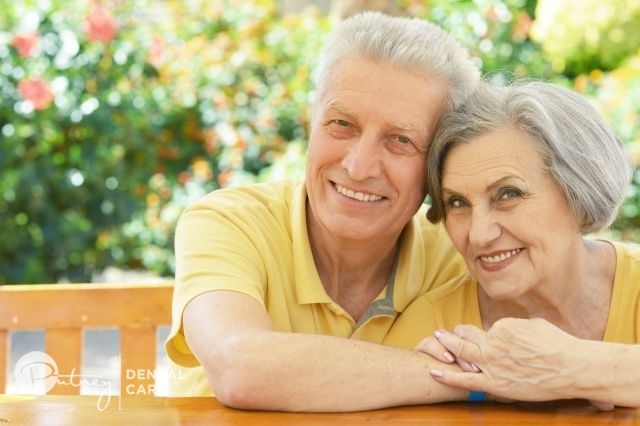 Over time, dentures will need to be remade due to normal wear and tear.